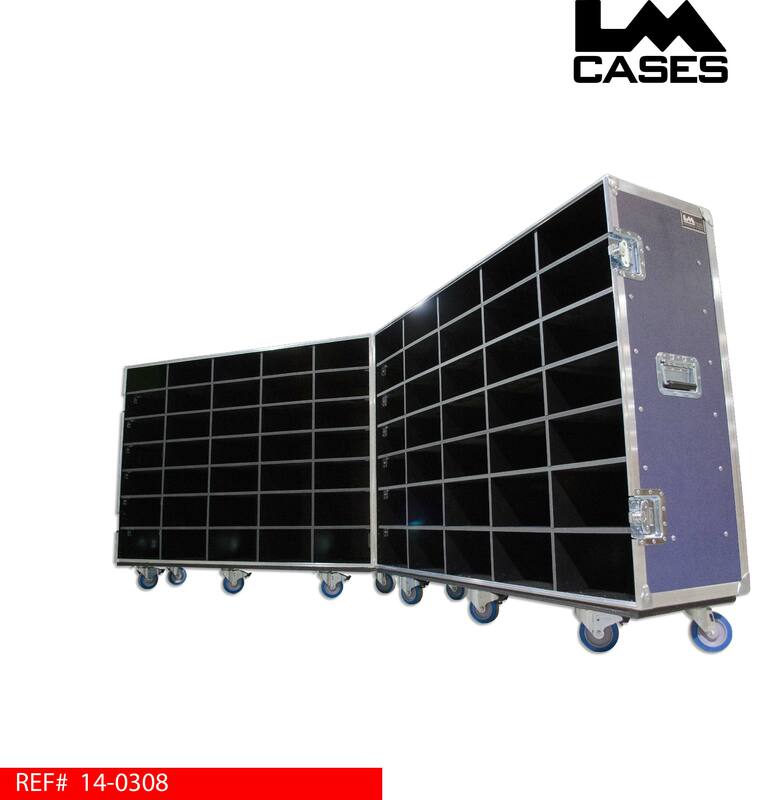 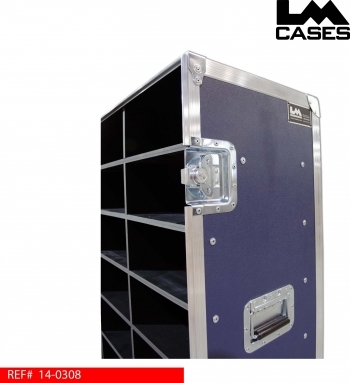 This trunk was designed for West Virginia University to hold 70 pairs of cleats. The trunk's interior is finished in black texture coating and features a divider network built out of 1/2" marine grade plastic. 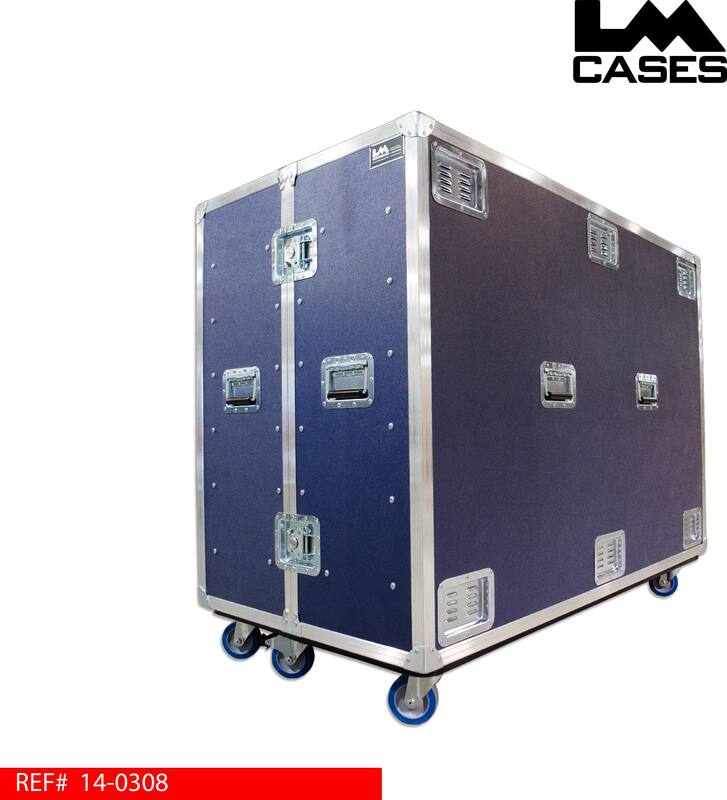 The trunk rides on 4" Colson Casters and features 12 recessed vent dishes. The trunk exterior is built from 3/8" plywood laminated with navy blue ABS plastic. Special thanks to West Virgina University!